Kosova is situated in the southern territory of former Yugoslavia and has borders with Serbia, Albania, Montenegro and the Former Yugoslav Republic of Macedonia. The large majority of the inhabitants of Kosova are ethnic Albanians, representing 1.7 million people, followed by 137,000 Serbs. They are descendants of the Illyrians who settled in the region of the Western Balkans around 2000 before Christ. The territory of Kosova also has a historically symbolic importance for Serbs, since they view it as the birthplace of their nation. Kosovo was part of the Ottoman Empire from the 15th to the early 20th century. Following their defeat in the Balkan Wars, the Ottomans ceded Kosovo to Serbia and Montenegro and both countries later joined Yugoslavia after World War I. The first half of the 20th century was marked by repressive policies towards the Albanians in Kosova, with the aim of assimilating or expelling them. In 1974, Kosova became one of the eight constitutive units within the Socialist Federal Republic of Yugoslavia. However, Serbia increasingly imposed its control over the province, which culminated in a military occupation. Simmering tensions between Albanian and Serb communities culminated in the Kosovo War of 1998 and 1999. 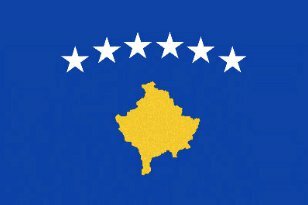 On 17 February 2008, Kosova declared independence from Serbia as the Republic of Kosovo which was then recognised by 112 United Nations Member States.